Welcome the second part of my analysis of Civilization VI and its design. Last time we talked about some of the changes Firaxis brought to Civ VI, namely the new districts and the builder units. 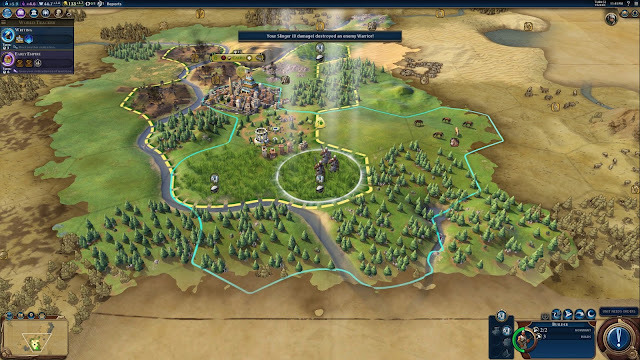 Today we will be addressing the way that Civ VI clues players into the best places to build districts and improvements and how it allows a player to glean a great deal of information in a short period of time. This particular facet of the game is fairly straightforward, but the number of ways in which the information is communicated to the player is really interesting. Let's start with the Builders. Because Builders have a limited number of builds before they disappear, the player needs a way to see that information somewhere within the game so they know which builders they want to use and whether or not this particular improvement will be their last. To that end, each builder has in their info plate, a space denoting the number of builds remaining. Pretty basic, about what you'd expect from a Civ game. However, they've gone a bit farther than that. Each builder starts with a default of 3 builds. The unit also starts with three workers appearing in the unit space. Once a build is spent, one of those workers disappears, leaving two behind which directly correlates with the remaining number of builds for the unit. This functions in the same way that military units remaining health is displayed. It may not seem very exciting, sure, but when you consider the amount of tactical information that can communicate to someone in a multiplayer game? It's immensely helpful, especially if you're looking to capture another players Builders (obviously, you'd want to nab the ones with the most builds remaining). Count the Builders. I see 3. Note the correlation with the number shown in the Unit plate under builds. And now he's built a farm there. Notice that after the use of a build there are only 2 Builders remaining inside the unit. Now let's move on to district and improvement placement. When you decide to use those builders for improvements, it is vitally important that you place those improvements carefully. Poor placement could mean paving something over to make way for a district better suited for the space. 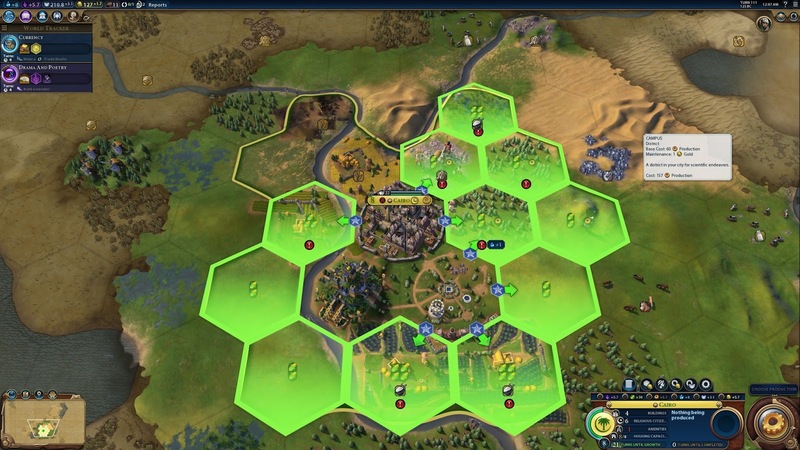 The improvements themselves don't tell you what adjacency bonuses they'll give or get, but the UI does well to recommend the best improvement for the tile the builder occupies. It's all rather straightforward, you'll want to build a quarry on a stony area or hills, a farm is best placed in a grassy area, and so on. The district placement is where things get tricky. Districts take time to build and so, are potentially worth a lot more. 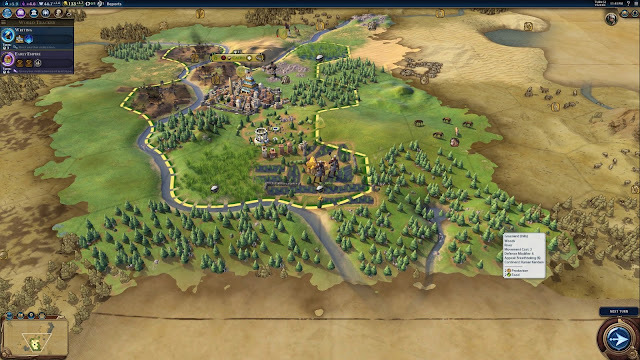 In Civ VI, there is no way I've seen to build the "perfect city" because so much depends on the area the city was placed. Making the most of the area around your cities by carefully planning your districts is key to success, even in the early game. It will absolutely make or break the game. Since we can't really build each city identically, how does the game help players understand their environment and opportunities better? First off, when placing a location for a district, the map overlay gives an analysis of possible tiles, highlighting any bonuses by placing them right in the center of the tile. A quick hover over the tile and it will tell you where the bonuses come from. It will also attempt to inform you of possible dangers nearby. The simple interface is intuitive enough that by my second game, I could construct possible cities in my head, just based on the terrain I was looking at. The UI clues act as a sort of training wheels for the player, getting them used to the way the districts, improvements and wonders interact with one another. Once those interactions are somewhat understood, some of the issues some reviewers talked about with regard to building cities and districts correctly, disappear. 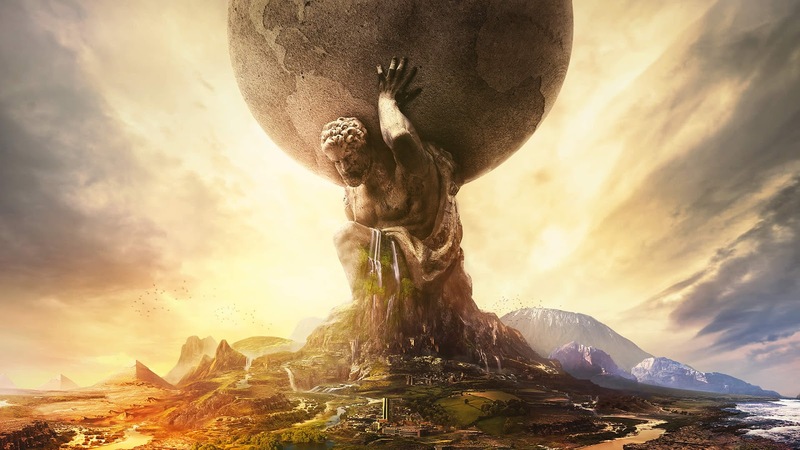 Next time we'll talk about some of the things that Civilization VI doesn't do very well. Thanks for reading!